A provisional booking made by phone, in person or email will remain firm for 4 days at which time a £50 deposit must be paid. The outstanding balance must be paid no later than 30 days before your stay. Should a cancellation be made the deposit will be forfeited. Cancellations made with more than 14 days notice will only forfeit the £50 deposit, cancellations with less than 14 days will forfeit the total hire charge. 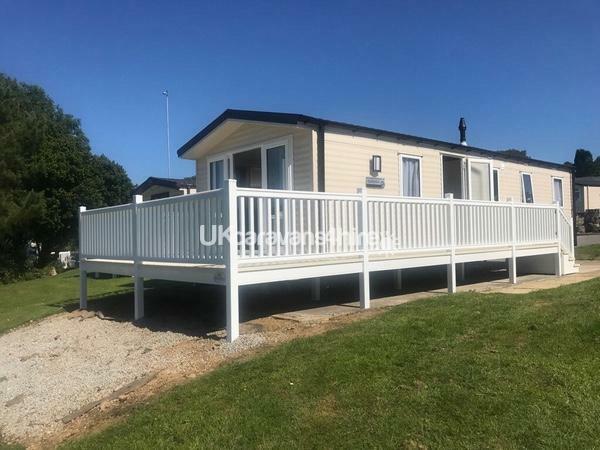 Set in 184 acres of rolling Cornish countryside located just 6 miles away from Newquay on the four star award winning idyllic family holiday park, White Acres. There are 13 tranquil on-site fishing lakes offering specimen, pleasure and match angling, surrounded by breath taking views. 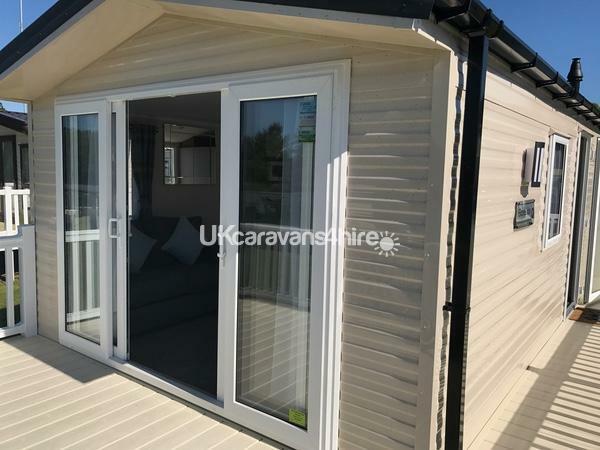 The 2017 Willerby Expression, 3 bedroom 8 berth 36ft x12ft holiday home is situated on 441 Oak Forest. 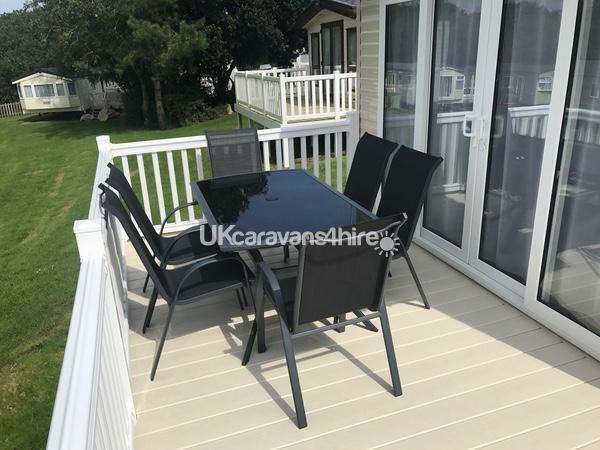 It comes complete with a front and side decking area with table and chairs, double glazing and central heating. 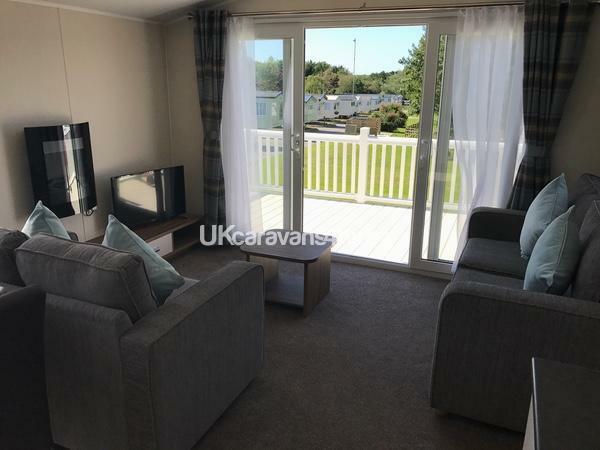 The lounge has 2 free standing sofas, one of which is a sofa bed, contemporary flame effect fire, 40 inch flat screen TV with built in DVD and free view and double patio doors that open onto front decking with table and chairs. 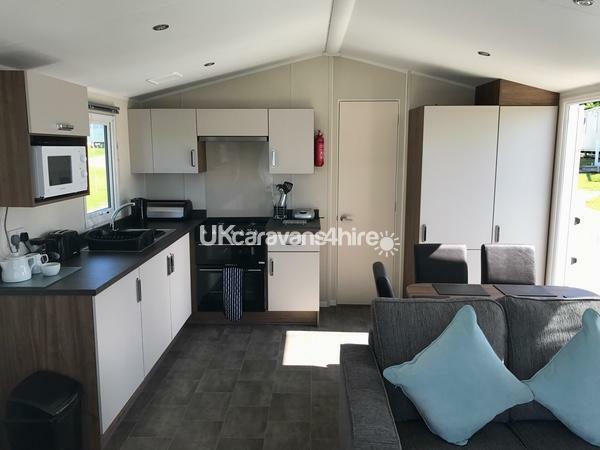 The kitchen comprises of a gas cooker and hob, integrated fridge freezer, microwave, toaster, kettle and all the other equipment to make it a home from home. 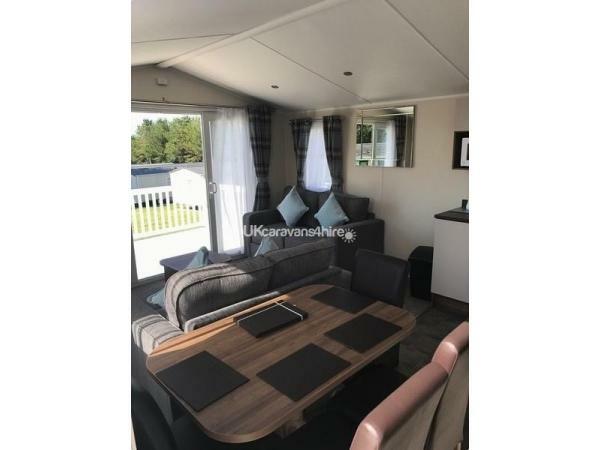 There are 3 bedrooms; one double and two twin rooms with a sofa bed in the lounge. A vacuum cleaner, iron, ironing board, hairdryer and CD player are also provided. There is a lockable wooden tackle box outside, please no tackle or bait to be taken into the holiday home. 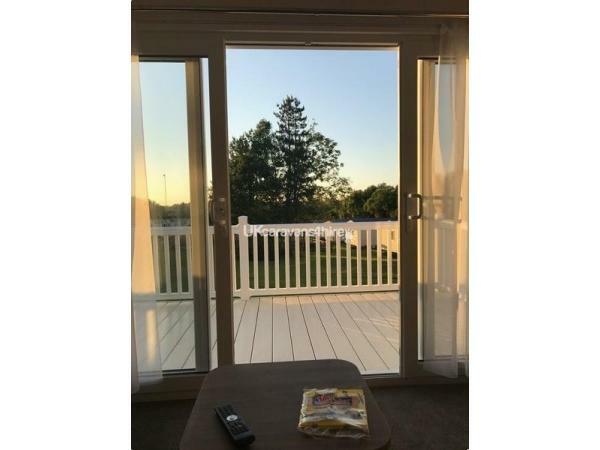 Price includes a clean at the end of your stay and all gas and electricity you use. Bedding is provided but we ask for you to take your own linen. Entertainment passes are required, available at reception for £12 per person in peak season and £10 per person in off peak season. Children under 2 are free. Fishing passes are not included in the price of the holiday, however, they can be purchased at White Acres fishing lodge, just a short 5 minute walk from the holiday home. 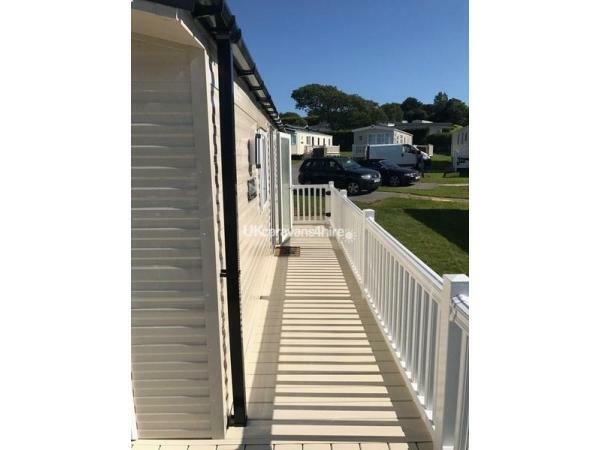 Here at White Acres, there really is something for all the family to enjoy from scenic walks or relaxing in the jacuzzi to water sports on just one of many of Newquay’s beautiful beaches. Children are spoilt for choice with the many activities on offer. No reviews found. 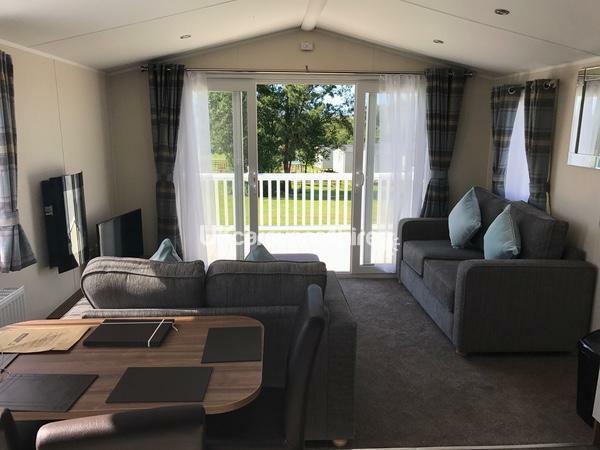 If you have recently stayed in this holiday home please leave a review, it only takes a few moments and will really help future guests when they are searching for holiday accommodation at White Acres Holiday Park.